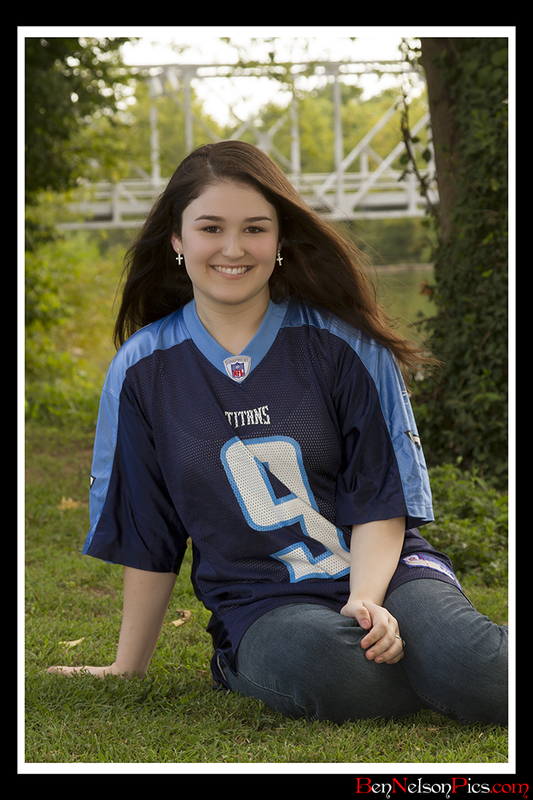 Here is a small set of pictures from a shoot I did with a sweet girl from Ozark Missouri class of 2012 Tess Langford. These were taken in Ozark Missouri, at Ozark Park and another local area with BenNelsonPics.com Here are a few of the photos that we liked. 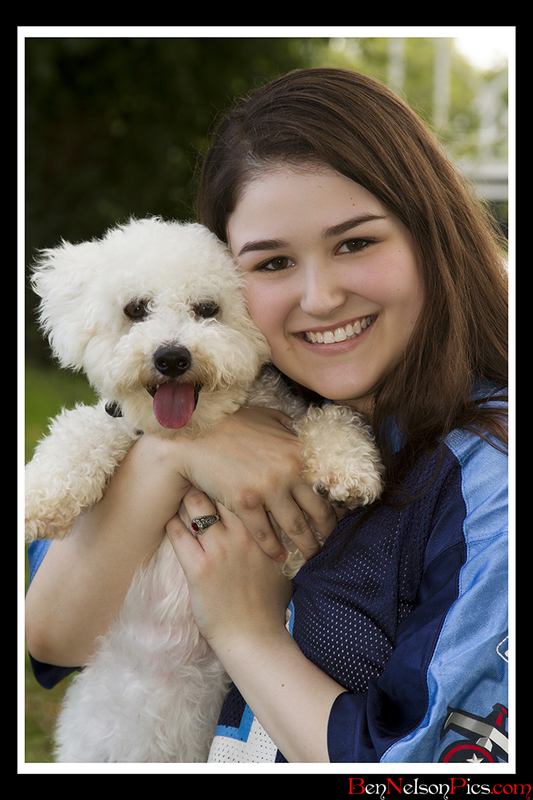 Close up senior picture photo of Tess and her little dog, very cute. 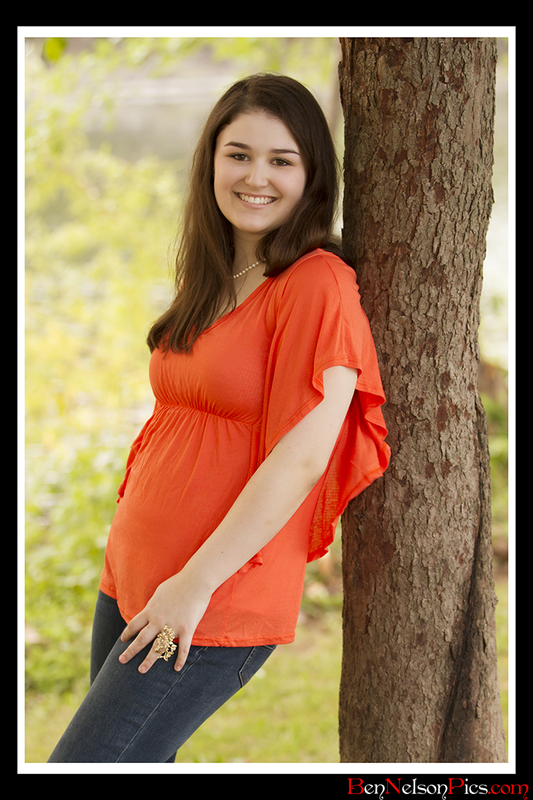 Orange blouse and blue jeans senior portrait, leaning against small tree with a nature scene in the background. 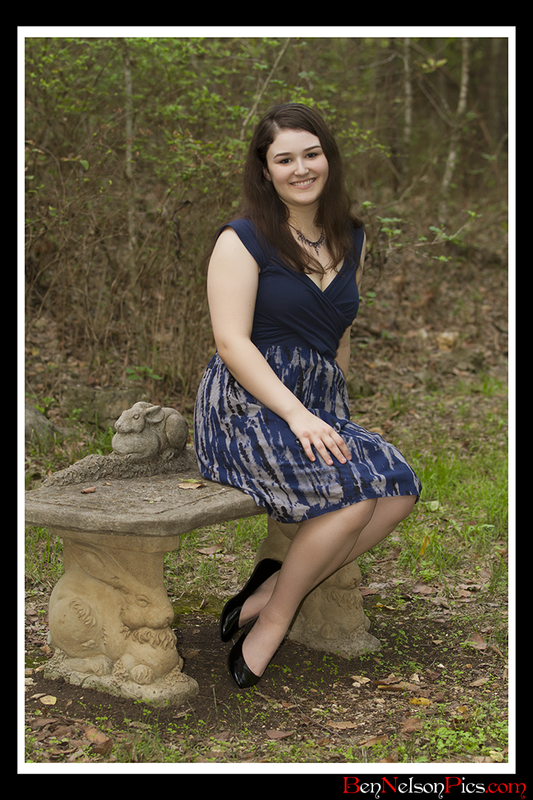 Senior picture of Tess in her formal dress, with a small walking bridge in the background. This final photo was taken with Tess sitting on a small cement bench in a nature setting.